Come visit with W. C. Fields and Mae West in a dressing room on the set of their 1940 production of My Little Chicadee. 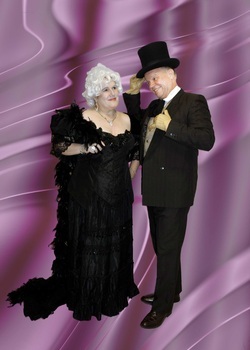 Our two actors will bring their characters to life while you laugh as the audiences did way back when. Learn about their personal lives too in this humorous, yet informative production – an afternoon (or evening) of fun. After the performance, the actors will open up to the audience for discussion regarding Fields and West.